This type of voluntary employee benefit is designed to supplement your existing major medical insurance plans. Hospital confinement indemnity insurance is a gap insurance that provides additional coverage to help cover out of pocket expenses and can even help to cover expenses such as coinsurance payments, co-pays, and deductibles for inpatient and outpatient services. Is your savings substantial enough to survive a hefty and unexpected medical bill? Could you afford numerous co-pays week after week with no end in sight? Easing the financial burden of a hospitalization or procedure most likely won’t be your first concern if you’re ever in that situation where this coverage applies, but you’ll certainly be thankful for it sooner or later. Without it, you’ll have that monthly reminder that you should have had better coverage every time the statement comes in the mail. Don’t let a medical concern be a financial one, as well. Ultimately, we have next to no control over incurring hospital bills, but we do have control over how we handle those bills. You have access to affordable insurance. Now is the time to explore options and be prepared. Employee Benefits Agency can help you figure out which type of coverage is needed. 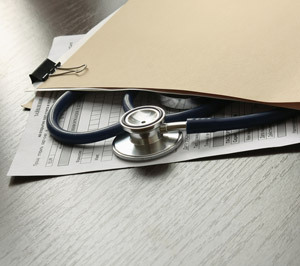 In most cases, there is not a lengthy medical screening process and there are no exclusions for pre-existing conditions. There are many flexible enrollment options and plans. We would love to discuss plans that seem appropriate for you. At the very least, you’ll know what’s out there, and when the time is right (if it’s not now), you’ll be one step ahead.